After a long summer of beaching, relaxation, and fruity drinks (for those of legal drinking age, of course), it is once again time to send the children back to school. If this means you have an empty house during the day, or at least fewer children in the house, you may feel a sense of relief! Inevitably, when the school year creeps up on us, it requires a shift in the way we do things, both for our children, adult family members, and you as au pairs! We have to again worry about homework, after-school activities, concerts, earlier bedtime, sport practices, music lessons, and packing school lunches. As a licensed mental health counselor specializing in children and families, I often discuss with clients the difficulties of integrating home life and school life. The reason that many families struggle with returning to school is due to the changes that took place during the summer. When school is out of session, parents are often less concerned with maintaining consistent bed times, holding children accountable to complete their chores, and allow a higher level of freedom and flexibility in the house. Come school time, when these expectations become important again, it can be difficult for the whole family. It is important to remember that children of any age need structure and boundaries, regardless of whether they are in school or not. It is also important to remember that children not only need structure, but often want it! Kids, especially younger ones, are incapable of making smart decisions on their own (i.e., when to go to bed, how and why to complete school work, how to eat healthy meals, etc.). Schools function successfully because there is already structure in place and students don’t have to create it on their own. Students have a schedule, they know where they need to be, and when they need to be there. They know the rules and expectations, and know the consequences if they don’t follow the rules. They know that if they curse at a teacher, they will get sent to the office. They know that if they do not study, they will receive a bad grade. They know that if they punch Johnny in the face, they will land in suspension. Schools function due to the structure and boundaries set in place. Without them, schools would look and feel much more like a zoo with no zookeeper: complete chaos. Without structure at home, children will not succeed to their full capacity. Parents often forget that the same is true for the home. Without structure at home, children will not succeed to their full capacity. They need to be guided and directed toward what has to be done and when it needs to be done. They need to know that they do not control all aspects of their environment. 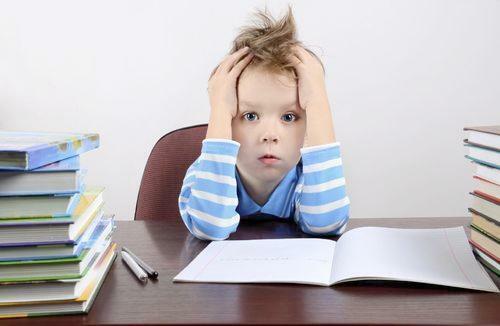 A child who is responsible for making all of their own decisions is a child who becomes internally overwhelmed and anxious. Think about it: If a child is left to decide when to eat dinner and when to go to bed, they will likely eat a bag of chips and stay up all night. While this may seem enjoyable at the time, it ultimately leads to an unhappy child, who is also tired and hungry. Children require structure to succeed (regardless of what they or their parents might tell you). Children who have structure at home, transition much easier to school, and vice versa, due to consistency of expectations. You may not be able to fully transform the environment of your host family, but you can make small changes that will be observed by children and parents. If they notice that these changes lead to positive results, they will begin to implement the changes too. Setting boundaries at home is quite the task for parents, and can be even more difficult for au pairs, but doing so is necessary for children to be successful. So remember, when kids kick and scream after being told they need to go to bed, or do their homework, or sit down for dinner, what they are really trying to say is, “Thank you”.